Waterworks is a beautiful location behind the Art Museum. 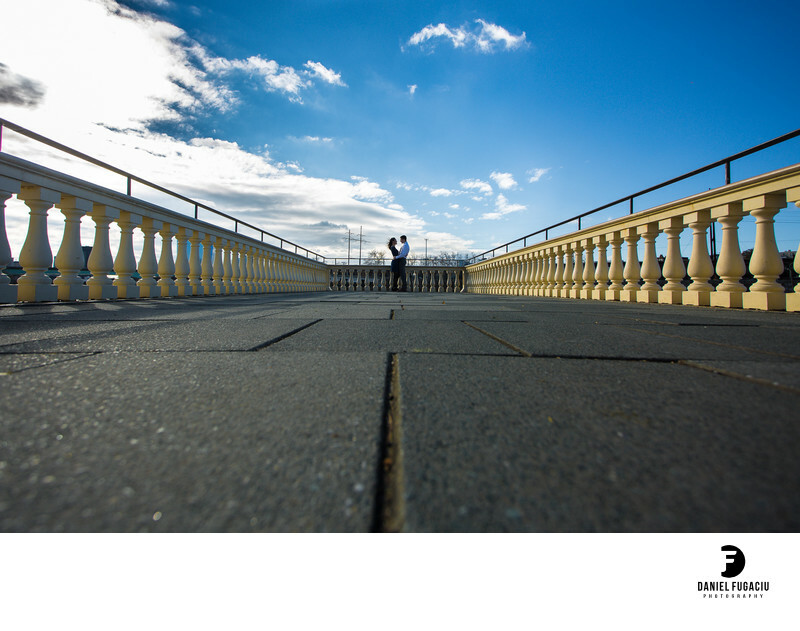 In this photo the intricate architecture of the place meets blue sky and in love engaged couple. Location: 640 Waterworks Dr, Philadelphia, PA 19130.